Best Execution: It’s Not Just for Capital Punishment! MSRB Rule G-18, effective March 21, 2016, establishes a best-execution rule for municipal security transactions. The rule requires brokers and dealers to make reasonable efforts to find as favorable a price as possible for a customer’s transaction, given the prevailing conditions of the market. G-18 is comparable to FINRA Rule 5310, though it is designed specifically to meet the needs of the municipal securities market. Because municipal securities trade over-the-counter, the term “market” should be interpreted broadly to include trading among broker’s brokers, alternative trading systems, or other counter-parties. Dealers must be especially vigilant with transactions in markets where trading is thin and limited pricing information is available. If a dealer does not get the best price possible in the market, this does not necessarily mean that reasonable diligence was not used. However, if the dealer makes another trade soon after and gets a better price for a similar security and there has been no significant change in the market, this is an indicator that the dealer did not use reasonable diligence. Broker-dealers must institute written policies and procedures that address how they will make a best-execution determination in the absence of pricing information or multiple quotations. They must document compliance with those policies and conduct reviews at least once a year to assess their effectiveness. Note: Because broker-dealers are not considered to be customers, the best-execution standard does not have to be applied to trades between broker-dealers that are not on behalf of a customer. This post is relevant to the Series 52 and Series 53. Author ProfessorPosted on March 18, 2016 Categories MSRBTags best execution, FINRA Rule 5310, MSRB Rule, reasonable diligence, Rule G-18, Series 52, Series 53Leave a comment on Best Execution: It’s Not Just for Capital Punishment! Question (Relevant to the Series 7, Series 27, and Series 52): John Johnson is interested in investing in municipal bonds, but wants to be sure he can convert his investment to cash quickly in case an unexpected expense comes up. Which of the following investments would allow John to return the investment to the issuer and receive money prior to maturity? Rationale: Variable-rate demand obligations (VRDOs) contain a put option, which gives investors the right to put the security back to the issuer at any time, at a price equal to the bond’s face value plus accrued interest. For example, assume that an investor has a VRDO with a face value of $1,000 and accrued interest of $30. The security will mature in a little under three months. Due to a pressing medical expense, the investor decides to return the VRDO to the issuer and receive the $1,030. 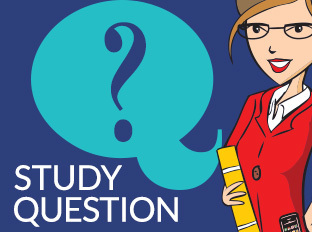 Congratulations Marty T., this month’s Study Question of the Month winner! Rationale: The SLGS interest rate is always one basis point below the Treasury security that has a comparable maturity, unless the Treasury rate itself equals zero, which is the floor below which the interest rate on a SLGS cannot go. In this case the Treasury rate and the SLGS rate will be equal. EMMA, the Electronic Municipal Market Access website, now allows issuers to voluntarily share bank loan disclosure information online. EMMA was created by the MSRB to give investors online access to official statements for municipal bonds, as well as other disclosure documents. By adding the ability for issuers to share bank loan disclosure information, the MSRB is helping to provide investors with more transparency and more information with which to approach the municipal market. The information can be posted on the issuer’s customized homepage. Getting it displayed is a two-step process. First, the issuer must submit the bank loan disclosure via the EMMA Dataport Submission Portal. Once the information is submitted, it can be published on the Customized Issuer Homepage by using the Issuer Dashboard. Investors will find bank loan disclosures and other documentation under the Continuing Disclosure tab on the issuer’s customized homepage. Jenny lives in Minnesota. She is comparing a Washington state municipal bond that pays 5% to similar corporate bonds. She has a federal tax rate of 20% and a State rate of 4%. What yield will the corporate bond have to pay to be equivalent to the municipal bond? Rationale: Because Jenny lives in Minnesota, the interest on her municipal bond will be tax-exempt at the federal level, but not at the state level. To calculate the tax-equivalent yield of a municipal bond, simply take the rate of the municipal bond and divide it by 1 minus the tax rate. So the tax equivalent yield = .05/(1-.20) = .0625 or 6.25%. Congratulations! This month’s winner is Ruth K.
Jon and Jenny are married. They each have an individual account and they have a joint account owned by both of them. What is the combined maximum SIPC coverage for all their accounts? Rationale: SIPC covers a maximum of $500,000 per “separate customer” at a broker-dealer or clearing firm including up to $250,000 in cash.Total coverage can be higher for multiple accounts if the accounts are considered to be held by separate customers. There are five categories of separate customers defined by SIPC. These categories include 1) individual accounts, 2) joint accounts, 3) accounts held by executors, administrators, and guardians/custodians/conservators (such as UGMA accounts), 4) accounts held by corporations, partnerships, or unincorporated associations, and 5) trust accounts. Thus, two individual accounts held by two different people, and one joint account would be considered three separate customers by the SIPC, and therefore subject to a maximum of $1,500,000 of coverage. Congratulations! This month’s winner is Abe B. The MSRB has added two new rules effective July 9, 2014. They are Rule G-47 (Time of Trade Disclosure) and Rule G-48 (Transactions with Sophisticated Municipal Market Professionals). MSRB has also amended Rule G-3 (Classification of Principals and Representatives) and Rule G-19 (Suitability), effective September 30, 2014. These four changes coordinate MSRB rules with FINRA rules and remove regulatory redundancies. MSRB Rule G-3. MSRB narrows the definition of Limited Representative – Investment Company and Variable Contracts Products (Series 6). Under FINRA rules, a Series 6 license only allows individuals to be involved in the purchase and sale of funds and variable products. The new MSRB rule will now be consistent with the FINRA rules. Representatives who want to participate in broader activities, such as underwriting, research and investment advice must now take and pass the Municipal Securities Representative Qualification Examination (Series 52). Amended Rule G-3 also eliminates the designation of Municipal Securities Financial and Operations Principal (FINOP). Since municipal securities dealers that require a FINOP are also FINRA members and since FINRA has similar FINOP requirements, Rule G-3 eliminates the redundancy by removing its separate FINOP designation. MSRB Rule G-19. MSRB’s amended suitability rule conforms to FINRA’s own recent changes to its rule. Specifically, the amended rule recognizes three components to a broker-dealer’s suitability obligations. First, a broker-dealer must understand the complexity and risks of a security or investment strategy and consciously decide its suitability for at least some investors. Second, it must reasonably believe that a recommendation is suitable for a particular customer based on the customer’s personal and investment profile. Third, when a broker-dealer has control over a customer account, it must reasonably believe that a series of recommended securities transactions are not excessive. MSRB Rule G-47. This new rule requires broker-dealers to disclose to its customers all material information about a transaction and the security at or prior to the time of trade. Information is considered “material” if a reasonable investor is likely to consider it important in making an investment decision. Disclosures must include a complete description of the security and any facts important to assessing the potential risks of the investment. MSRB Rule G-48. Rule G-48 exempts broker-dealers from any obligation to disclose material information to customers who are sophisticated municipal market professionals (SMMPSs). It also exempts broker-dealers from informing an SMMP that the price of a secondary market agency transaction is fair and reasonable, as long as the broker-dealer has not recommended the transaction or exercised discretion as to its execution. Finally, Rule G-48 exempts broker-dealers from the obligation to perform a customer-specific suitability analysis for an SMMP. 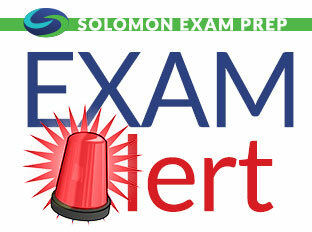 This week’s study question from the Solomon Online Exam Simulator question database is now available. Rationale: A sinking fund redemption requires the issuer to set money aside regularly in a reserve account for the redemption of the bonds before maturity. When new bonds are issued with the purpose of using the proceeds to pay off older bonds, it is called? Rationale: A bond refunding is the replacement of existing bonds with new “refunding“ bonds. The issuer of refunding bonds often seeks to lower its interest payments by paying off its previously issued (refunded) bonds with newly issued bonds that pay interest at a lower rate. Another reason to refund existing bonds may be to release the issuer from legal covenants or restrictions in the original indenture.